What are you really trying to escape? Live the memorable experience of a First-Person Adventure & Puzzle Game! Jump over lasers, avoid terrible moving saws, dodge giant crushers, use your Jetpack and Taser-Gun to think your way through zero-gravity puzzles of this mysterious space station. Shoot your taser-gun to power-up electric devices remotely. When you're alone in the universe, this weapon is your best friend. Defy laws of physics and gravity by firing up your Jetpack to fly freely through space and avoid deadly traps in the station. You cannot risk falling into the void; use it wisely and make sure you have enough fuel to make your jump! 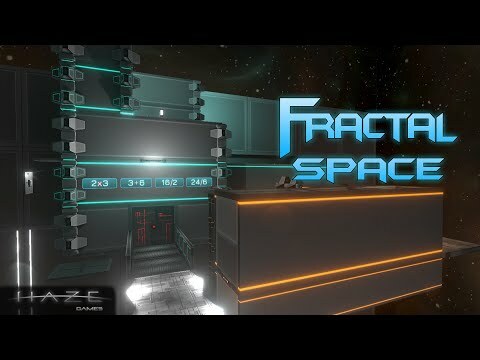 Discover a new way of thinking first person puzzles and solve puzzles in Zero-Gravity rooms! Use your Focus Skill to slow down time around you, allowing you to focus and survive patterns that would be impossible to succeed at normal speed. While surviving the adventure through the space station, dexterity is not your only challenge; activate switches, complete 2D minigames, use cubes to reach higher grounds, go through portal teleporters, orient light mirrors, search for clues to guess access codes! Explore and pick up hidden recordings throughout the station - they will help you solve certain puzzles, recall what happened to you and find answers about your past, present and future. Show the entire world what a puzzle mastermind you are by unlocking Achievements, sharing your speed run scores with your friends! Unlock new Steam Badges and Trading Cards as you play and complete the game!